Trainers and their habits are a favorite factor that I use in my betting. And I regularly refer to those that burn the candle at both ends compiling trainer stats when I'm looking for new trends to boost my betting bank. One such person is the studious Mark Foley who shares his research in the Betting Insiders Club. This month I'm taking a keen interest in runners from Nicky Henderson's yard. One thing I love about Nicky is that he keeps giving his all throughout the Christmas period. But the stat we are looking at is his record in Handicap Hurdles in December. From the turn of the century he has had 96 runs with 25 winners a strike rate of 26% of all runners in these events. 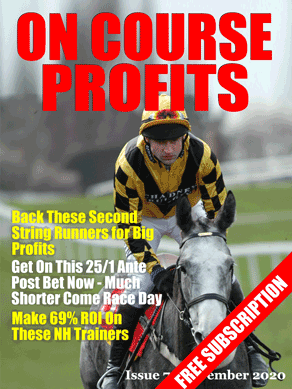 With a level stakes profit of 50 Points and and Return on Investment at SP of 52%. Pretty impressive stats I think you'll agree. Kells Belle looks of most interest with Barry Geraghty taking the ride. We recommend that you follow this stat for the rest of December and into January, particularly at the high profile meetings this week. Captain Chris – Each way.